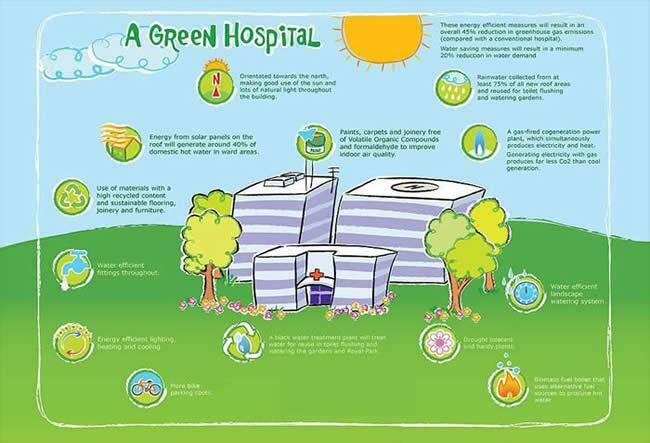 GREEN HOSPITAL is a new concept of today in the GREEN WORLD and offers lots onewf advantages to the paints and operators of the hospitals as wwell as a inand a prospective future in the world of geeIS A NEW CONCEPT IN HOSPITAL BUILDING AND OPERATION. This concept start form area selection to construct the hospital premises till the procurement of the consumables during the operation and basically has the below stages. Metan Green Health & Environmental Engineering & Consultancy Co. Ltd.